Celebrity chefs are old news. Even so, the idea of a celebrity bartender will strike many people as odd, even if you use the increasingly popular term “mixologist.” Nevertheless, celebrity bartenders are well on their way. 29-year-old Steve Schneider isn’t remotely a household name, but that can change. 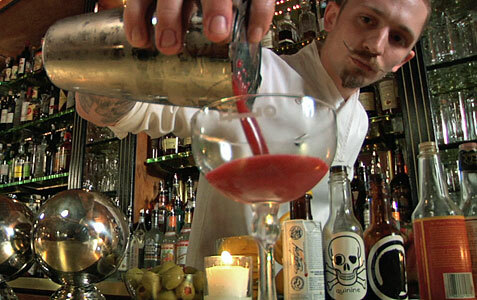 He is clearly one of the world’s best known mixologists, with more than a little rock star flair. He also pretty much walks away with the new documentary, “Hey Bartender,” which opened in New York recently and began a slow nationwide roll-out in Southern California, Seattle, Denver, Columbus and elsewhere this past Friday. Directed by Douglas Tirola (“All In: The Poker Movie”), the film is a charming, rough around the edges, information-rich treat for anyone who’s interested in the idea that cocktails might be more than a matter of pouring booze into a cup. Such famed cocktail mavens as Dale DeGroff and my personal favorite, David Wondrich, are featured, as are many of the nation’s best bartenders. Yet it’s Schneider who dominates the film with his journey from downtrodden former Marine – his career was cut short by a severely traumatic training accident – to the multiple-prize winning principal bartender of New York’s supremely acclaimed Employees Only bar. It’s a bit much to call Schneider the Bruce Springsteen of bartenders, but his salt-of-the-earth, bridge-and-tunnel mixture of sincere pride and humility feels very familiar, and he does not lack for showmanship – he even sports a hammer that might remind some of a certain Norse thunder god. “Hey Bartender” captures the man’s skill, bravado, and iron-clad work ethic, but it doesn’t quite capture the generosity or enthusiasm that I encountered when I got to talk to him via coast-to-coast telephony not long ago. Bullz-Eye: Congratulations. Everything seems to be going right. Aside from the movie, I understand you’ve won another contest. Steve Schneider: Yeah, I just won a competition a couple of weeks ago in Chicago with Anthony Bourdain. It was fun. Anytime you get a chance to go to Chicago, it’s fun. BE: By the way, I’m not sure. Exactly where are you from, originally? SS: I was born in Bergen County, in Jersey. BE: So you’re basically a Tri-State area boy. BE: Boy, I have so much to ask and I’m not sure what to start with. SS: Let it ride, you know. Whatever you need. BE: Okay, cool. It’s actually to the credit of the film, they don’t make a big deal about your hammer, but I think people want to know about the hammer anyways. SS: It’s more of a symbol than it is a tool. I mean, it’s a great tool to use. It’s used to crush ice. We have a machine to do it. 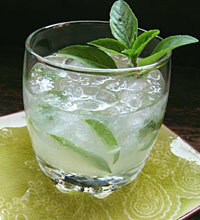 It’s good for a home bartender or a bar that’s a little slower. You can afford to put ice in a canvas bag and crush it and make juleps or swizzles or any other types of drink that require crushed ice to make it really cold. Booze is always an essential part of the holidays. People want to have fun this time of year, so naturally we love to enjoy some drinks and holiday cheer. Forbes recently did a survey on the subject and the results were pretty interesting. Heavy Holiday Spender: More than three quarters of male respondents estimated that they spend more than $1,000 on alcohol during the holiday season! Food or Booze? Holiday Indulgence Priorities: More than 70% of respondents revealed that if they had to cut down on either their holiday food or alcohol consumption, food would be the first to go. Get the picture? People take their booze seriously this time of year, especially guys. That’s why we always include some liquor suggestions in our holiday gift guide in the “Guy Stuff” section. If you’re throwing a party, the booze is critical. If you’re going to a party, you better not arrive empty handed. There’s nothing like a nice bottle of good stuff to make everyone happy. Also keep in mind that it’s always a great idea to have some special cocktails ready for a party, and you can get some great ideas, including holiday drinks, from our Drink of the Week series. Here we’ve added some more suggestions for gift ideas and to stock a holiday party bar. The first thing to consider is DON’T FORGET THE LADIES! Women like to drink as well, so make sure you have some special drinks available for them, particularly if you’re throwing your own party. One thing to consider is flavored vodka. Women love this stuff and you can make all sorts of cool cocktails. Smirnoff has come out with two very sweet options with their Whipped Cream and Fluffed Marshmallow flavors (see image to the right). This stuff tastes so good that you can easily drink it straight on the rocks. Pair them up with orange juice or orange pop and you’ll have a creamsicle for adults. The key to your booze selection for a party is to have something for everyone, and these flavored vodkas are a great addition to any party. Everyone appreciates a good rum. It makes the setting even nicer when you’re partying in the tropics, and it makes a cold winter night a little warmer when you’re partying up north. Ron Abuelo rum produced entirely from estate-grown sugar cane in Panama by the family-owned Varela Hermanos. The company dates back to 1908 when Don José Varela established the first sugar mill in the recently-formed Republic of Panama, the San Isidro Sugar Mill. Almost 30 years later, Varela began the distillation of alcohol from their sugar cane crop in 1936. Currently run by the third generation, Varela Hermanos has approximately 1000 hectares of land devoted exclusively to the cultivation of sugar cane. Today, the range is composed of four authentic dark oak-aged rums: Añejo, 7 Años, 12 Años and the limited edition Ron Abuelo Centuria. We tried the 7 Años rum with a nice cigar and loved it. Sip it straight or make up some killer cocktails. Either way this stuff is a great addition to you holiday bar. Everyone loves a good Martini, especially the ladies. 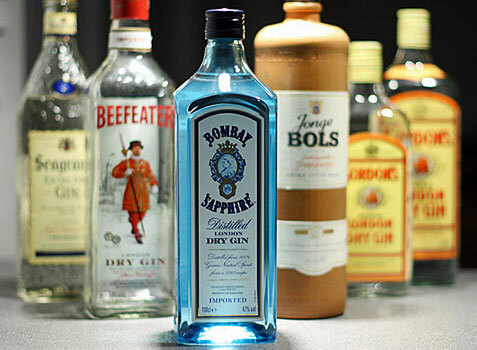 So check out our article on Classic Drinks Every Guy Should Know How to Make and then pick up some Van Gogh BLUE vodka. This is the world’s first vodka made from three international wheat sources (central France, southern Germany and Zeeland in Holland). Hand-crafted in Holland, this triple distilled, triple wheat vodka has an exceptionally smooth, polished taste with a neutral flavor full of subtle nuances from the three European grains. It’s a great gift idea for vodka lovers and it’s naturally a great addition to your holiday bar. 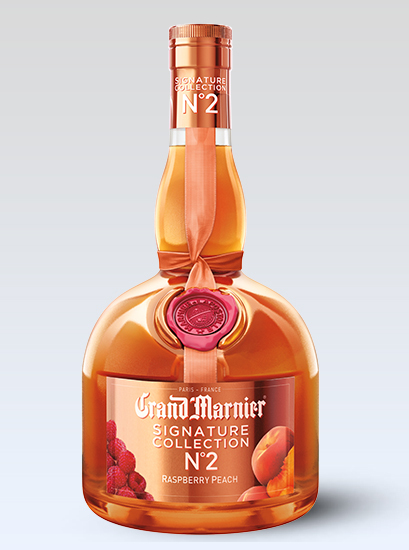 The bottle also looks very cool and everyone will wan to try it! You’ll find vodka at every party, but it’s always cool to bring something new and interesting, so people will appreciate trying a new and interesting alternative. So drink up, be safe and enjoy the holidays! Make no mistake, this is not only your dad’s but also your grandfather’s whiskey. Depending on your age and where your family was during prohibition, it might even be your great-great-grandfather and/or grandmother’s whiskey. 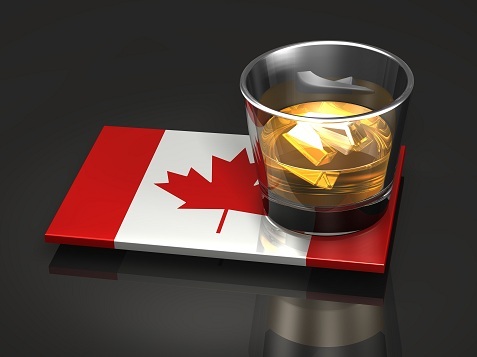 Say what you like about Canadian whisky, it’s stood the test of time. Sometimes referred to, particularly in Canada, as rye despite the fact that it’s primarily made with corn spirits, Canadian whisky, unlike now resurgent American rye whiskey, never threatened to go away. Still, while some uninformed bartenders still think rye is just the name of a type of Jewish bread, it’s the rare bar that doesn’t stock Seagram’s V.O., Canadian Club, Crown Royal and often Black Velvet. Its the even rarer connoisseur or cocktail aficionado who will admit to being excited about them, with some liquor snobs deriding Canadian as “brown vodka.” Following their lead, younger drinkers who have taken to premium brands of bourbon and Scotch, have largely ignored it. That’s not to say unassuming Canadian Whisky has no fans among the cognoscenti. We kind of love it and no less an authority than cocktail historian David Wondrich suggests Canadian Club — a value-priced favorite of ours — as the perfect vehicle for an Old Fashioned, the most purist-friendly whiskey cocktail we know. Since it’s primarily blended and is generally not a very complex kind of a whiskey, it’s likely that Canadian will never have the cachet of bourbon, rye, or Scotch, but its hipness quotient may be improving slightly. Canadian Club has shrewdly played on its history with a series of attention-grabbing print ads with the slogan “Damn right, your dad drank it.” The ads alluded to the allegedly racy lifestyles of fathers of yore and used actual family photographs from Canadian Club employees. 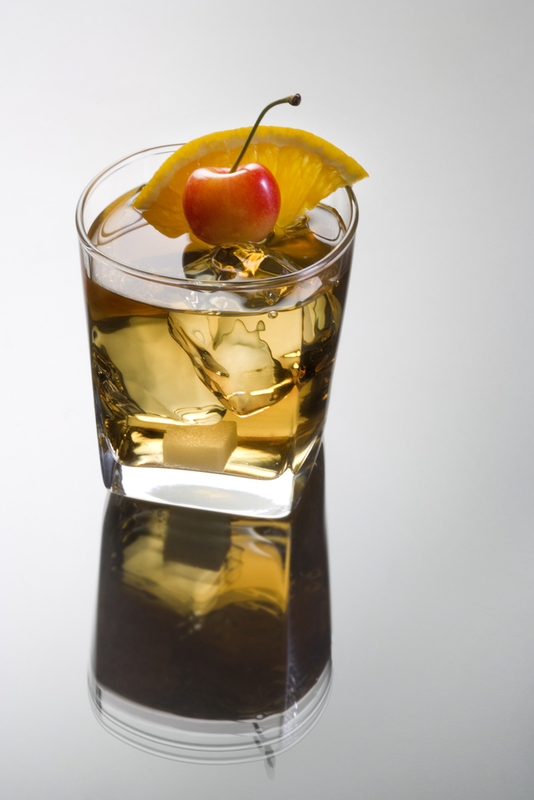 As for cocktail and liquor aficionados, New York Times writer Robert Simonson blogged some time ago that his contacts in the gourmet and mixology worlds became obviously bored at the mere mention of Canadian whisky. However, Simonson’s April 2011 article details how there are real changes brewing in the world of Canadian booze. He specifically cites the highly acclaimed Forty Creek distillery and also attempts by better known makers of Canadian whiskey to brew blends that will appeal to drinkers used to the more complex flavors of today’s premium whiskeys. Forty Creek does appear to be the most prevalent of the “new style” Canadian whisky manufacturers and we were able to pick up a bottle on sale at out local big-box beverage emporium. Our reaction was a bit mixed; we still think Canadian Club is more tasty and given its extremely low price, difficult to beat. Even so, we anxiously await the arrival of more and better Canadian whiskys. It’s time to see if our polite and funny friends to our north can create some premium whiskeys that will give some real competition to Kentucky and Tennessee, not to mention Scotland and Ireland.